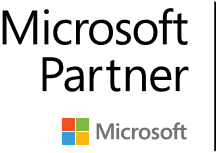 Professional Services Dashboard has been developed using Microsoft Power BI platform and Microsoft Dynamics AX 2012 R3 for Professional Services industry. 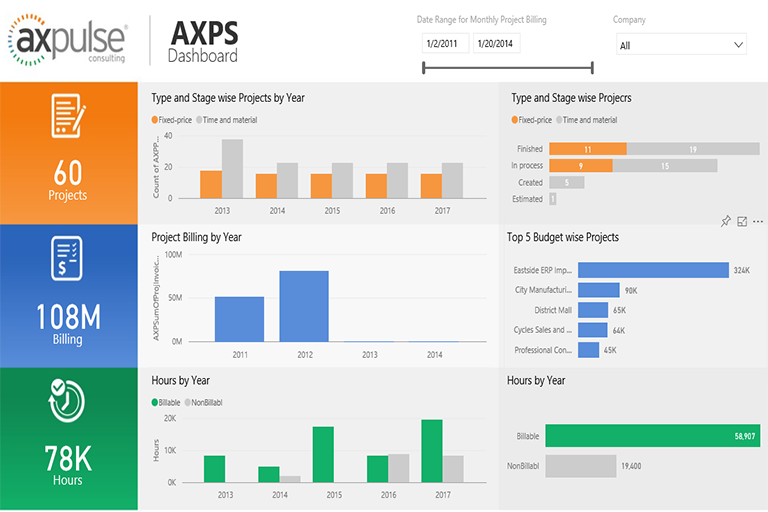 This dashboard provides real time insights about an organization's top customers by revenue, billable vs non-billable hours per year on projects, monthly project billing trend, type and phase wise projects bifurcation, top projects budget wise and so on. Microsoft Dynamics AX 2012 R3 project accounting module and relevant data has been used as a source of information with integration mechanism using OData. The Professional Services Power BI content pack will equip project and program managers with deep insights that enable them to view the overall picture of the projects in progress or finished by the project organization. Managers and executives can get details about project count by world regions to understand the total projects your organization is working on for better resource management and monthly project billing trend to effectively manage the cash flows. Monitor and improve the effectiveness of your internal project management processes by reviewing the insights about how many billable vs non-billable hours were consumed each year for the past five years. You can keep a close coordination with your Finance team by reviewing the project budgets and top projects by customer revenue figures. Comprehensive reporting and Dashboarding capabilities built into Power BI enables your project managers to monitor, analyze and take action backed by data. They can author reports and KPIs without help from IT and pin them to MS Dynamics AX workspaces for contextual insights.